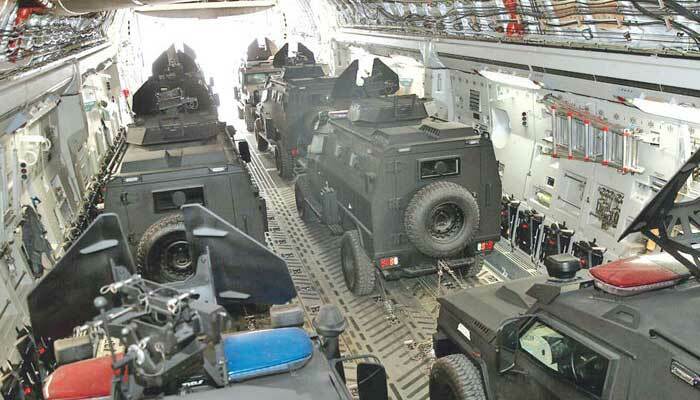 BAMAKO: Qatar has sent 24 armoured vehicles to Mali, army officials from both countries said Friday, as Doha pledges closer ties with the West African Sahel country locked in a battle with jihadist insurgents. "There will now be permanent cooperation between our armies in the fields of training, unit equipment and military exchanges between our countries," he told reporters in Mali´s capital Bamako Friday. Malian general Moustapha Drabo said the vehicles would help "protect our forces against ambushes, which is the tactic used by the terrorists". Qatar has recently been looking to shore up allies outside its own region, where it is in a bitter feud with its Gulf neighbours. "With this gesture, Qatar is clearly showing that Mali is among its allies in the Sahel, where Doha will be visibly more present," Malian sociologist Mamadou Samake said. Qatar has found itself isolated since Saudi Arabia, along with Bahrain and the United Arab Emirates, severed diplomatic ties with Doha in 2017, accusing it of supporting terrorism and fostering close ties with their regional rival Iran -- charges that Doha denies.